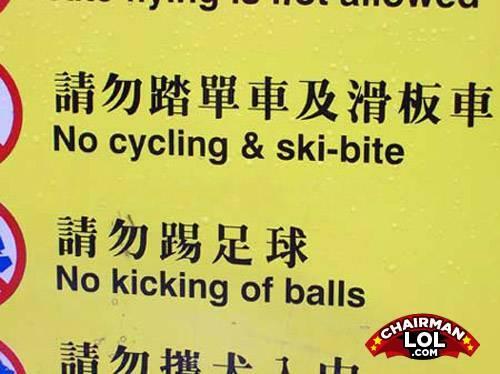 No kicking of balls? How are the Chinese supposed to get on YouTube? whats the same about a red crayon and a blue crayon?